You are here: Home » Life Issues & Bioethics » Contraception & Abortion » Should Dismemberment be Legal? Public opinion has remained pretty stable since Roe vs. Wade. One time it did move was when partial-birth abortion was being debated publicly in the late 90’s. People became more willing to identify with the pro-life position, because the debate focused on abortion itself, rather than on abstract arguments about freedom and choice. And that was the first time since Roe vs. Wade that our movement succeeded in actually prohibiting an abortion procedure in many states and on a federal level. For the last decade, I have been arguing that we can do this again by focusing on other forms of late-term abortion, particularly on the “D and E” dismemberment procedure. Hence, Priests for Life started, some years ago, the “Stop D and E” campaign (see StopDandE.com). Now, in the wake of the Gosnell case, this is beginning to gain momentum, and in fact the US House of Representatives has passed the Pain Capable Unborn Child Protection Act, which aims to protect children from abortion after 20 weeks fetal age. In a June 13 press briefing, Rep. Nancy Pelosi, House Democratic leader, was unable to answer a question about the reality of late-term abortion. I then wrote her an open letter rebuking her for her failure to do so. (You can read and sign on to the letter at LetterToNancy.com.) One of the reasons I wrote this letter is that we all have to answer the question that was posed to her: What is the difference between killing the same child after birth or just before birth? Now that the House of Representatives is on record, thanks to the recent vote, regarding dismemberment abortion after 20 weeks, and now that the unwillingness of abortion supporters to deal with this has been raised through the Pelosi letter, Priests for Life is going to take a further step. Though the pro-abortion leadership in the United States Senate will want to avoid a vote on the Pain-Capable Act, we are going to put them on record anyway. Each US Senator will be asked whether dismembering a child in the womb should be permitted. Priests for Life will visit the Senators’ offices with diagrams of the procedure and pose that question. Actually, we have done so before, but this time we will add a new twist. Before we go to their offices, we will go to their constituents, including all of you, and invite you to join us in asking the question. When we go to the Senators’ offices, we will say, “We, and thousands of people in your state, are coming to you with a question. And we will announce your answer to all the people in your state. 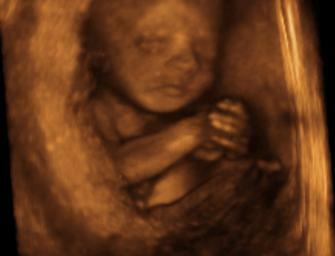 I am convinced this issue will mobilize both pro-life and pro-choice citizens to bring an end to late-term abortion. Yes, every abortion is wrong at every stage, and we will end all of it. But we do so by leading people from the more obvious to the less obvious. Let us know if you want to use your name as we visit your US Senators with this important question. Sign up at PriestsForLife.org/AskWashington!